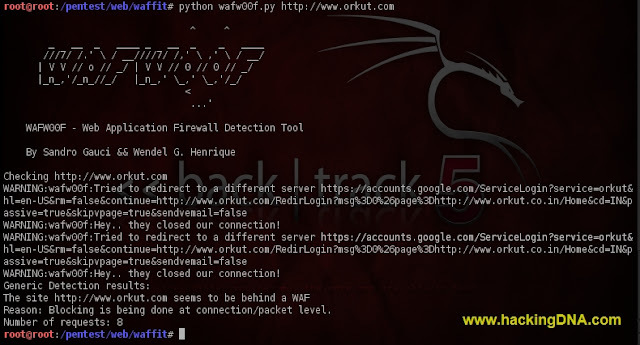 Its a Web Application Firewall Detection Tool . The tool was written by - Sandro Gauci And G. Henrique. It detect the WAF ( Web Application Firewall ) behind the any domain . If any firewall is detected from the list it will display on the screen, as shown in example 1. 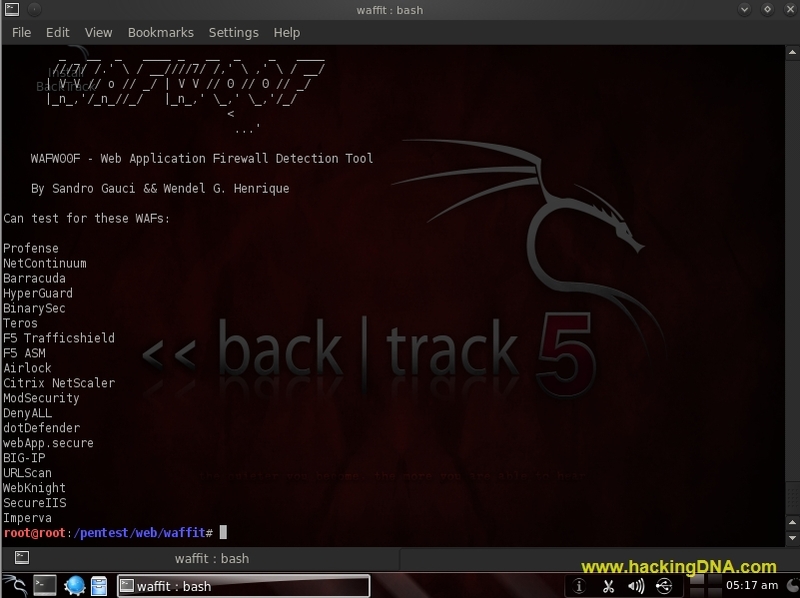 See the image how to open waffit on Backtrack 5. This example shows that utexas.edu is behind the Web Application Firewall. utexas.edu is behind the Imperva WAF. Here washington.edu is also behind the WAF . All these images shows these website are using IDS and it blocks my request all the time . Famous Orkut Website also display that the site is behind the WAF. No WAF Detect , may be they are using different WAF which are not in the list of Wiffit. No WAF Detection on cornell.edu website . 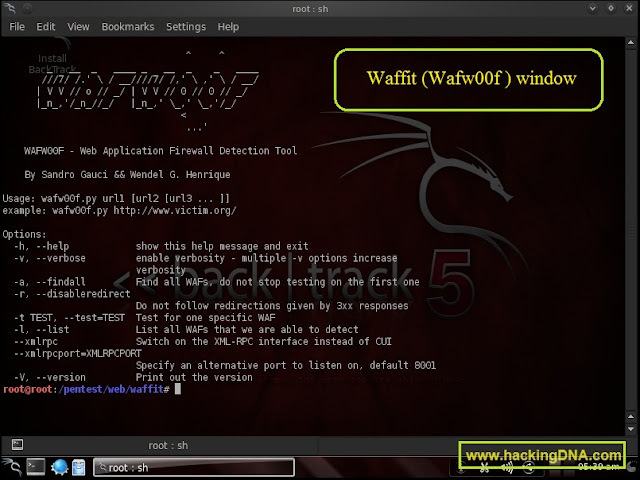 Hope this tool help you in WAF Detection . If you like this tutorial , then drop a comment . One disadvantage , it can be easily detectable .